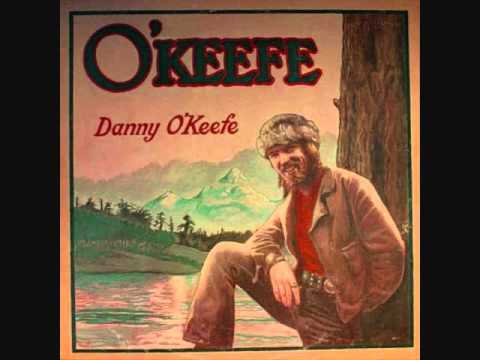 Who remembers Danny O'Keefe? A Brilliant Spokane, Washington native singer-Songwriter who currently lives in the Seattle area. Some may think of him as a one song wonder because his "Good Time Charlie's Got the Blues" hit number 9 on the US billboard in 1972. But he is a great songwriter above all. His songs have been covered by numerous musicians, including Jackson Browne ("The Road"), Gary Stewart ("Quits"), Elvis Presley, Glen Campbell ("Quits"), John Denver ("Along For The Ride"), Donny Hathaway ("Magdalena"), Jerry Lee Lewis, Judy Collins, Leon Russell, Willie Nelson, Waylon Jennings, Jimmy Buffett, Alison Krauss, Ben Harper, Cab Calloway, Mark-Almond, Andy Williams, and others. Internationally, in Italy his song "The Road" has been covered by Ron, with Italian lyrics written by Lucio Dalla (and re-titled "Una città per cantare"). Australian singer-songwriter Mike McLellan covered "Good Time Charlie's Got The Blues". Loved him! Cant remember where or when but i saw him once . “Everybody’s going to LA”. Not anymore! David Bromberg played the Moore Theater about 15 years ago. Toward the end of the show, he introduced Danny O’Keefe, then Bromberg gave the stage to him. Bromberg and his band watched from the wings as Danny did this song solo acoustic, then everybody joined up and played a few together. Still one of the best shows I’ve ever seen. Dust in The Wind ? I never knew he was from here! I think he still lives here. He once picked me up after I tripped and sprained an ankle in front of his house. Did he found the Songbird Foundation? I loved this song. A lot of people saw themselves in it back then, including me. He is a great guy. He still plays occassionally. I met his daughter in San Diego in the late 80’s and we dated, which led me to move to Seattle in January of 89. Old pal, I recorded the demo for ‘Good Time’ in Seattle that got him his start. I believe he lives on Vashon Island, WA. In the 60’s..he played with Clyde Heaton in a band called Calliope. Atlas was their big song at the time.